Looks like you have some excellent plans for July. The inquisitor in particular is very interesting, although the huskblade is a bit too iconic to the original figure in my opinion. Given that the foce staff is (sort of) a close combat weapon, possibly a pistol may suit? The putty work on the book looks quite excellent, although I hope you bulge out the cloak on the side to compensate. I'm afraid your old age is starting to affect you, it is still June! Ha, your right, I intended to schedule it for the weekend and completely forgot by the time I was finished! The husk blade has actually been changed quite a bit since that pic was taken. I filled all the holes and added three eyes on each side near the hilt to make it look demonic. looks like some interesting plans, I'm looking forward for the wizard thing, there is indeed a lot of conversion potential. 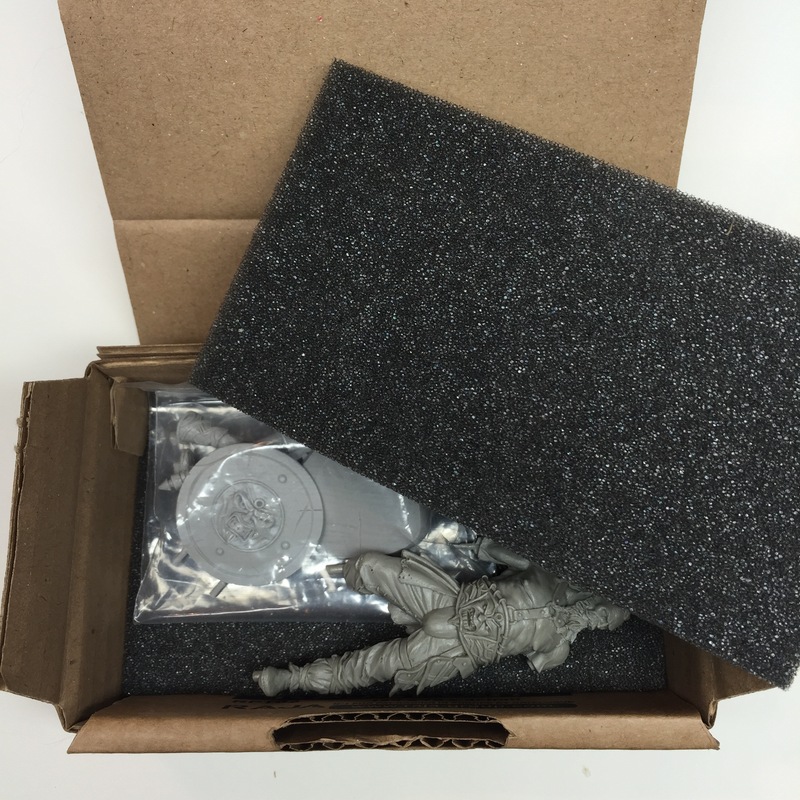 I was intending to buy me one for converting to 40k aswell. 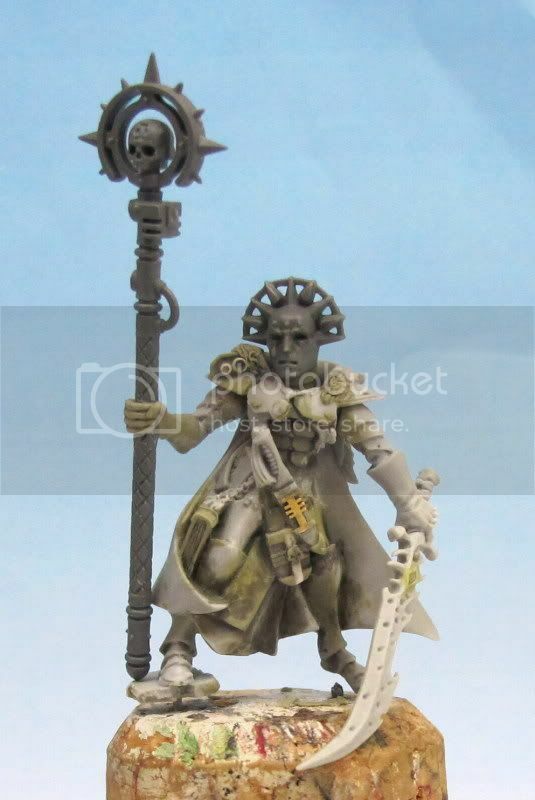 I like the inquisitor, but the head seems a bit off; could be just me. I'm looking forward to seeing what you do with the Finecast mage, it looks like a very nice sculpt. I agree with griffit, I personally don't feel that the head suits the rest of the body. The GS work you have done on the body is really nice though,and I really like the small touches like the addition of the book. The command models for Mananns Blades are exquisite, I'm sorely tempted to get a set myself. Are you just going to paint them as they are, or have you got other plans? I've been following your blog for a while, and its definitely one of my favourites. Keep up the inspirational work. On a side note, do you ever have any of your models on display at the GW in Glasgow? Griffit - definitely treat yourself to one! Mantoba - thanks. I'll probably just paint them up with minimal/no modification. I used to have a few pieces in the cabinets but I took them all back after one went missing and I got a cabinet of my own at home. Tael - Cheers buddy! Looking forward to seeing what you do with he necromancer! Each kit has a lot of potential. What an awe-inspiring Inquisitor you're converting there - I cannot wait to see it painted.